For those new to my Death of a Nightingale Blog I explore the anatomy of the cockup. Understand one or two, understand all. I keep returning to two of them: one the closure of over 100 special schools in the UK, some very good ones in pursuit of the disastrous policy of Inclusion, the other promoting dangerous and unhealthy cycle lanes on twisting, narrow urban streets even more questionable when few cycle on them. This has morphed into an exposé of the British Disease itself. The sclerotic condition of a self-congratulatory legal profession – Chantal-Aimée Doerries QC, the new chair of the Bar Council “The British justice system is the envy of the world.” One place where Equality should be – before the Law – absent. Running through everything, morality pre-empted every time by raison d’etat and the media rarely objecting. See the danger when solidarity with your mates or just doing your job, maybe because you can’t afford to lose it, pre-empts personal integrity. The train driver transporting Jews and others to Auschwitz says that he is just a train driver; mind you, in his case if he refused to do his job he and his family would have ended up in Auschwitz. No such excuse for the apparatchiks in the offices of the Local Government and Legal Ombudsman who sit at their computer terminals and do the job they are hired to do right or wrong. That is where I now am. My broad conclusion: it is high time that the Left started to think outside the prison walls of its past and the Right outside its Goldfish bowl. The Privilege of the Right plus the Dogma of the Left explains all. “Nine elite schools provide path to power…. Former pupils 94 times more likely to reach the top than anyone else. Charterhouse, Eton, Harrow, Merchant Taylors, St. Paul’s, Shrewsbury, Westminster and Winchester.” – Times 31.10.2017 – Not even counting the lesser public schools! Do I need say more here? The Left is shackled with its egalitarian dogma. “Equality of opportunity” to go to a University for half a year’s cohort of pupils and, for years, no thought to opportunity for the other half. No wonder we have had to import skills from around the world. They were aiming at the wrong target – Grammar Schools. It should have been bog standard Secondary Modern Schools. As a headline in the TES said recently; ‘Do car mechanics really need to study Bronte?’ Germany doesn’t do so badly without a National Curriculum. They made ‘selection’ a dirty word when you need to differentiate between academic and vocational skills and totally different needs; yes, and promote excellence and, with it, inequality. To that end they closed Polytechnics, technical colleges, and technical schools because diplomas were not equal to degrees. Likewise, they closed special schools to give children a right to go to mainstream school, a right to be bullied, a right to be deprived of skilled teaching and caring. The academic excellence gap is supremely irrelevant. Everyone in their own terms can be excellent. I saw this for myself as chairman of Governors of Barbara Priestman School in Sunderland. As Fredwyn Haynes its headteacher used to say, all his pupils needed was time, not always provided in mainstream schools. Thank goodness the parents’ campaign to keep it open was successful. Worse. They ended State Scholarships, yes initially substituted means tested grants, but then introduced student loans. This discouraged ambition from low earners avoiding the need to repay them and penalised ambition for high income earners saddled with debt up to £50k – I say enslaved by it – and who cannot get a mortgage for a new home or put money into a pension. And this in the name of social mobility. Social immobility! To gain power, ostrich-like, the Left now leads students to believe that the State can find the money to free them of debt and fund Universities along with all else they promise in their Socialist Utopia “the wouldn’t-it-be-nice-if scenario, where we all live happily ever after”. Maybe they imagine that Quantative Easing QE – printing money – in their Father Christmas State will foot the bill; Jeremy Corbyn’s Paradise. OFSTED REPORT IN 2013: “Too many non-selective schools are failing to nurture scholastic excellence.” You should read the report and remember that we live in a competitive world where our standard of living and payment for public services depend on what we earn as a country. If everyone can’t have a Scholarship or a bursary or a grant is that good reason gifted, talented and ambitious students shouldn’t get a helping hand to get into Oxbridge and access FE generally specially to obtain skills that the country badly needs – and into public schools too? I and others went to Oxford with a State Scholarship from Bede Grammar School in Sunderland, in what was at the time a working-class town. 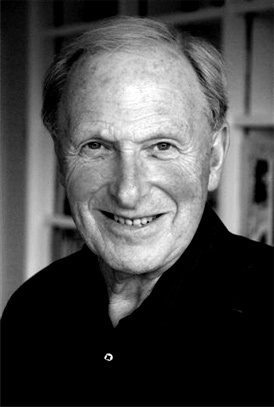 Marcus Lipton CBE (1900 – 1978) was a Labour MP for Brixton. Born in Sunderland and educated at Hudson Road Council School, and Bede Grammar School. He too went with a Scholarship to Merton College Oxford. And my good friend Peter Batty, author and journalist, Bede Grammar School, and Queen’s College Oxford. His father worked in the shipyards. He cycled to Oxford for his interview. The UK should play to its strengths. It shouldn’t always focus on the disadvantaged. It should be getting more talented people from the industrial heartlands of the UK as the decision makers of tomorrow, not just asset strippers, make-a-quick-buck-bankers and those who read Greats. And, if the public schools have charitable status then at least a quarter of pupils should have social backgrounds compatible with it; it should not be just an aspiration. Multi-national companies should be encouraged to help fund bursaries and scholarships. In their interests to talent spot. 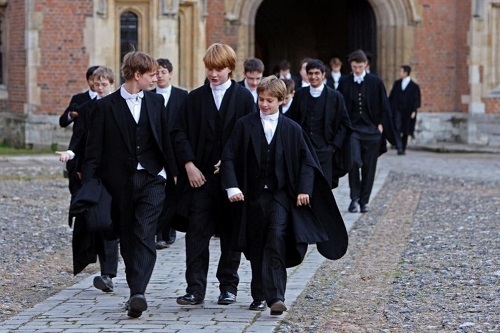 And Eton kids should reserve their upper-class garb for Halloween. It is just a bit off-putting for those born on Coronation Street.